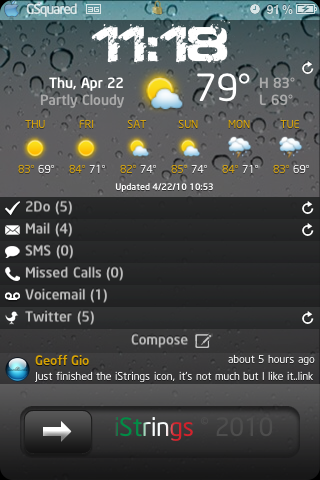 Tired of the plain old "slide to unlock" text? Maybe the "slide to power off"? How about the "Installing..." text under your newest App Store app that is installing? You can change all of this an more with iStrings. If using a language other than EN, please launch iStrings once, then hit the home button and go back into Settings>iStrings and all of the strings will now be changed to your currently selected language. This will not add a new icon to your home screen. 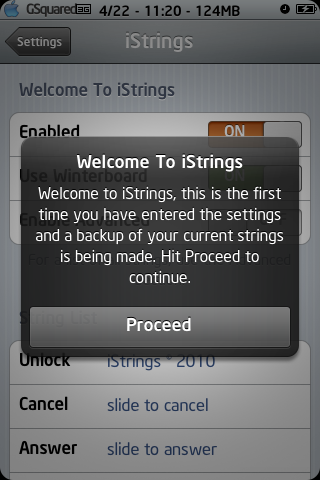 You can find iStrings in your Settings app. 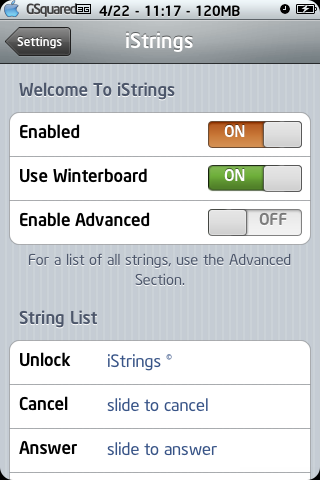 iStrings uses either WinterBoard or directly changing your Strings on your iDevice. It houses options for 362 different Strings on your device. 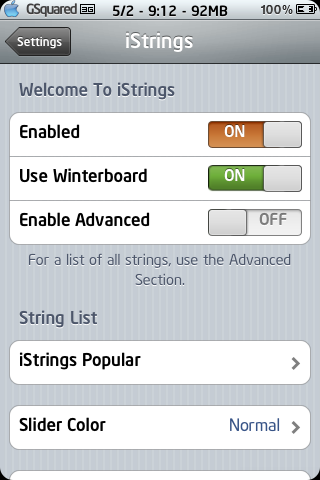 To enable winterboard support, make sure you have winterboard installed and turn the "Use WinterBoard" switch on, then go into WinterBoard and enable the iStrings theme. Otherwise, if not using WinterBoard, the app will do everything itself, including a respring. 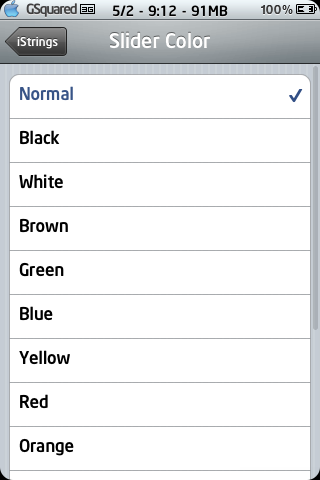 Slider mask color only works when winterboard support is enabled currently. See More Info below for screenshots.